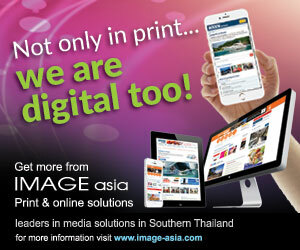 A paradise not only for its beaches and natural beauty, Phuket has also become a utopia for the shopaholic. From local markets to shopping centres and department stores, as well as boutique and speciality shops, the abundance of wares pleases all. 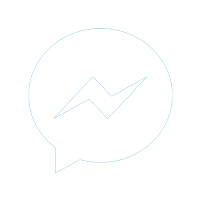 With jewellery, traditional arts and crafts, antiques, silk, housewares, a wide range of home décor products and furniture plus gifts and souvenirs to take back with you, all the offerings are there. 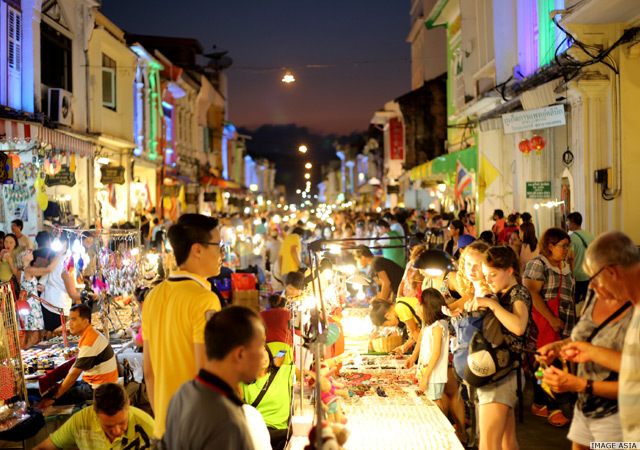 Central Festival and Jungceylon provide the familiar ‘western’ one-stop shopping destinations, while markets and smaller traditional shops provide the charm, and often adventure, to the shopping experience. 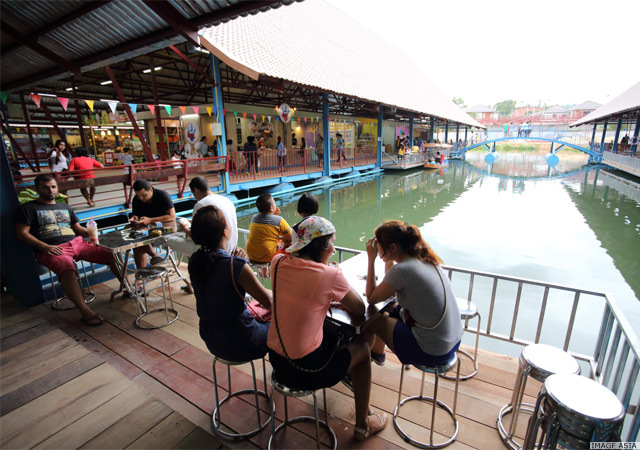 Opened in May 2016, the Phuket Floating Market is Phuket's newest venue and is not only a cultural symbol showcasing a modern and older lifestyle, but is also a shopping destination. 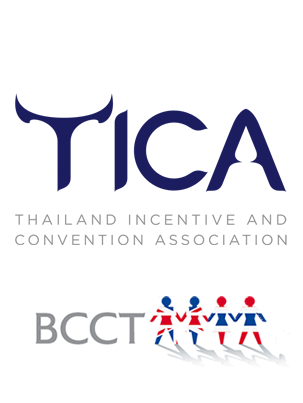 Built on reclaimed land from an old tin mine, the market houses 288 businesses that include restaurants, souvenir stands, clothing stores, massage stalls and stalls selling products from all over Thailand – plus boats serving as a spot for goods sellers. 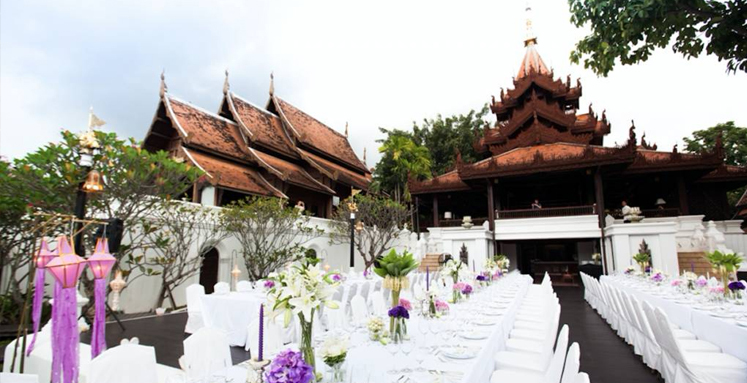 There's also live entertainment, such as traditional Thai dance, sword-fighting dance and cabaret with shows running every day. Lard Yai, which is Chinese for Big Market Street, or the Phuket Sunday Market Walking Street, first opened September 2013 with the aim of promoting and preserving the predominantly Sino-Portuguese architecture, the buildings of Old Town Phuket and also keeping the culture and way of life of the people alive. The market is designed to show the different and unique composition of the area and showcases elements of the wide variety of races and religions, including India, Pakistan and China, Buddhism and Islam. Situated in Old Phuket Town, Limelight Avenue is Phuket's newest urban-living lifestyle mall and is a convenient one-stop centre for all ages and tastes. Limelight hosts a variety of shops including restaurants, lifestyle retailers, a supermarket, health and beauty stores, cafés, bakeries, ice cream shops along with unique arts and crafts stalls. 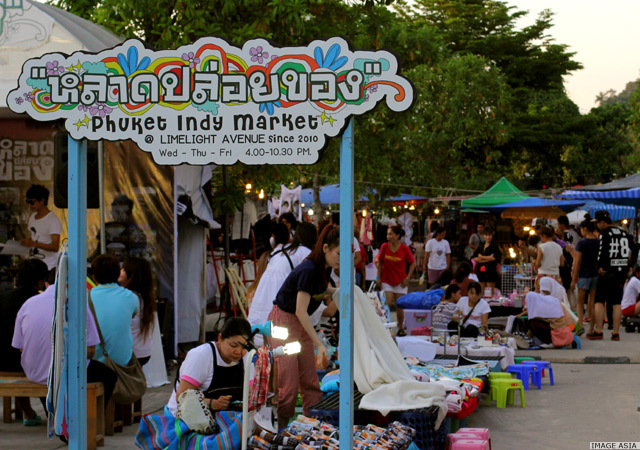 Right beside Limelight Avenue, young people get together several nights a week to socialise and sell goods at the Phuket Indy Market. 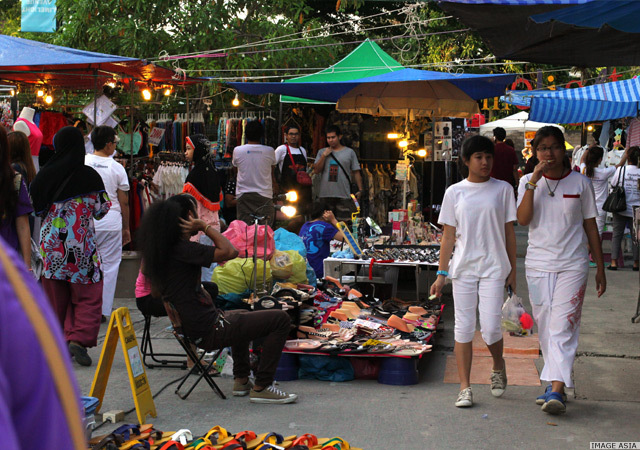 Laad Ploy Kong or 'a market to let go of your goods' sees an array of products and services being sold or exchanged such as clothing, flip-flops, shoes, handbags along with street food, artists drawing portraits or caricatures and musicians. 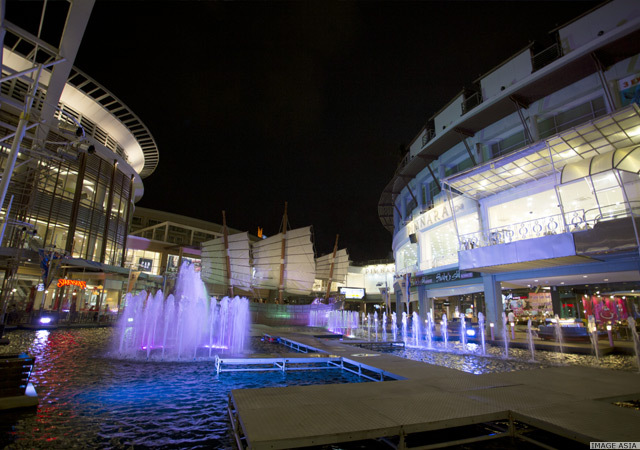 Known as the international shopping and leisure destination in Phuket, Jungceylon is a one-stop shopping centre. 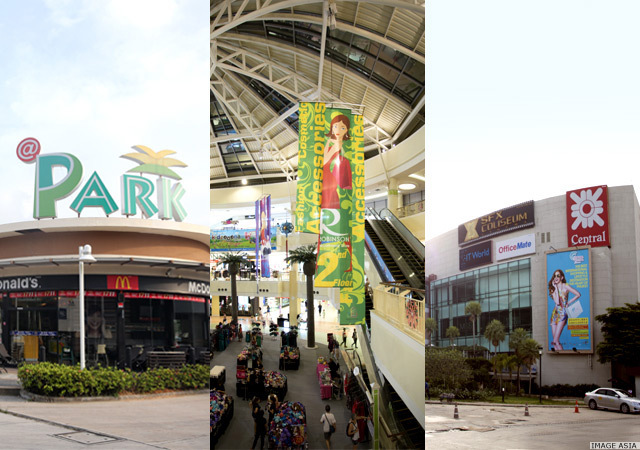 The buildings host a variety of lifestyle shops, entertainment centres and restaurants. Oriental charms blend in a fusion with Western lifestyles under a one-roof concept. The Port Zone is an outdoor section with a pond and trees. 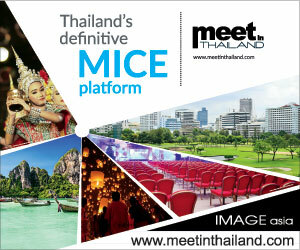 There is a life-sized reproduction of a Chinese Junk with a hydraulic system and a catwalk that is used for shows. This zone also has a musical fountain with a sound and light show along with movies projected onto a water screen.